In February 2019, Mr. Koya Nishikawa, special advisor to the cabinet, has taken office as special advisor to Daisun. I paid special attention to Daisun’s current activities overseas, in particular technology transfer and support of electrical and civil construction in Asian region. As a result of appreciation of Daisun’s activities, Daisun was selected as “Driving-Force of Regional Future” by Ministry of Economy, Trade, & Industry (METI), and accordingly I am looking forward to seeing Daisun’s further growth. A member of the House of Representatives from Liberal Democratic Party (elected 6 times), Current Special Advisor to the Cabinet. 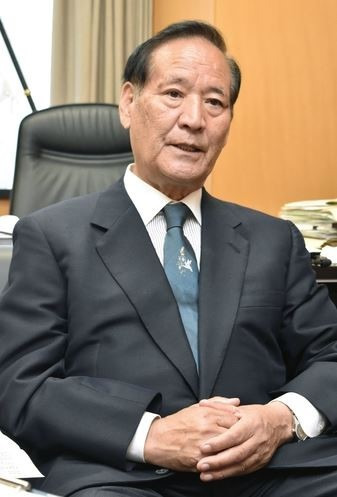 Born in Tochigi Prefecture and has successively held such various posts as a member of Tochigi Prefectural Assembly (elected 5 times), Chairman of Tochigi Prefectural Assembly (81th), State Minister of Cabinet Office, Chairman of Agriculture, Forestry and Fisheries Committee at House of Representatives, Minister of Agriculture, Forestry and Fisheries (56th and 57th), Special Committee chairman on the House of Representatives Trans-Pacific Partnership Agreement (1st), Deputy Chairman of LDP tobacco Parliamentarians, etc. Please refer to the official site in detail. © 2018 DAISUN Co., Ltd. All Rights Reserved.